Amy and Mike came down tonight to hang out. 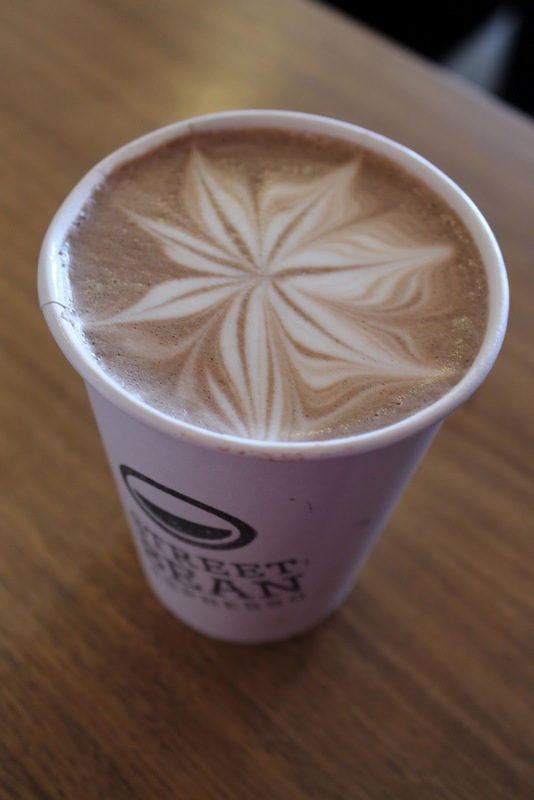 We all went to Street Bean and sipped on delicious beverages. I had a very coconutty coconut tea. After that we cooked up a miniature vegan feast at home, followed by vegan chocolate cupcakes from Cupcake Royale.